Reduce wasted space and give your bar a uniform look with the Advance Tabco PRFD-3535 Prestige series stainless steel underbar filler! Items found within the Prestige series of underbar equipment line up perfectly with each other, creating a uniform design across any bar. 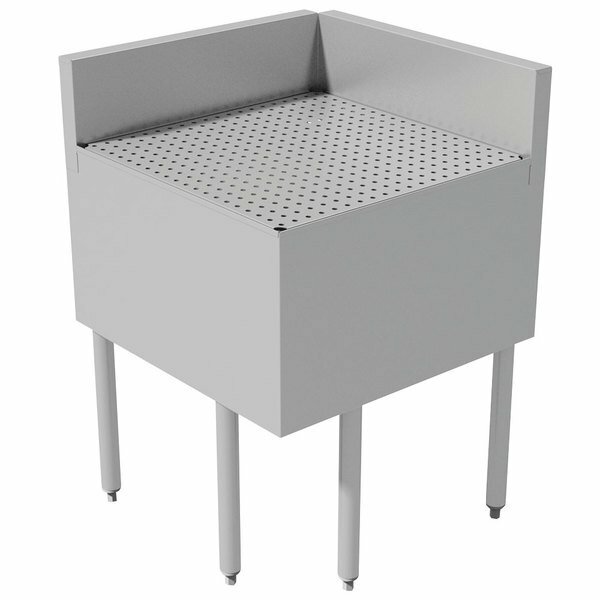 With many great features, like an extended 7" backsplash and a removable perforated drainboard top, this underbar filler is the perfect finishing touch to your bar lineup.